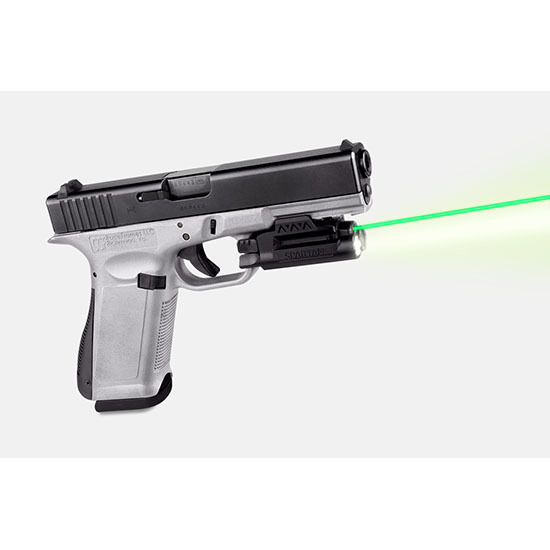 The Spartan adjustable fit laser by LaserMax offers you everything you need and nothing you dont. Thanks to the custom fit obtained by groundbreaking Rail Vise Technology Spartan is the perfect choice for a larger variety of pistol models than any other laser. The oversized paddle switch offers simple ambidextrous activation for the laser which has steady and pulse modes. The Spartan is adjustable for windage and elevation. It will not be damaged with exposure to rain. The left and right housings clamp to the gun rail with two screws and the Spartan has an integral Picatinny rail permitting attachment of a tactical light. The Spartan is compatible with subcompact and larger pistols with a PicatinnyWeaver rail and long guns with a minimum 1inch of rail space. The Rail Vise positioner enables precise placement on rail which adjusts for hand size or preferred positioning.